As a result of repetitive stress to the growth plate on the inside of the elbow, Little League Elbow does not result from a specific injury. Rather, it comes on gradually, and at some point, athletes may feel an occasional pop that is painful. When it comes to young athletes, it’s important to understand that because bones are still growing, they are more susceptible to injury and overuse conditions. Yet, given the pressure of competitive sports, many will fight through their symptoms in order to continue playing. In regards to Little League Elbow, this is mostly associated with athletes in the pitcher or catcher position (though it can also occur in those playing other positions). Early manifestations of the condition such as aching, sharp pain, are usually only experienced while pitching or catching. In fact, the intensity of the pain is directly related to the number of pitches thrown. However, as the condition worsens, any type of throwing begins causing pain. Ultimately, young athletes can suffer small fractures of the growth plate, resulting in small bone fragments. They may also experience early arthritis and bone spurs. Upon testing for Little League Elbow, x-rays might reveal if the growth plate has not yet fused, if it has widened and if loose chips of bone are present. For the most part, conservative means of treatment are sufficient for Little League Elbow. Yet, because the elbow is a complex joint of three bones, as well as ligaments, tendons, muscles, nerves and blood vessels, treatment is not one-size-fits-all. Depending on the age of the athlete, the severity of the condition and any previous injuries sustained, Little League Elbow is best treated by an experienced orthopedic with a specialty in complex elbow conditions. An expert in complicated conditions of the elbow, Dr. Masi Reynolds incorporates leading edge, minimally invasive treatments whenever possible. These include advanced arthroscopy, cartilage restoration and joint realignments to reduce pain and maximize mobility. 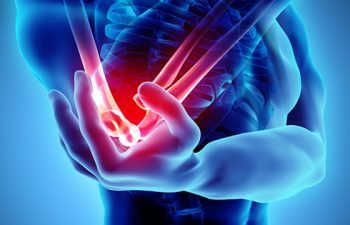 In the event that an elbow condition is severe or significantly complex, Dr. Reynolds has the experience and skill necessary to perform intricate surgeries with great precision. To schedule an appointment, contact Dr. Masi Reynolds today at his San Jose practice.